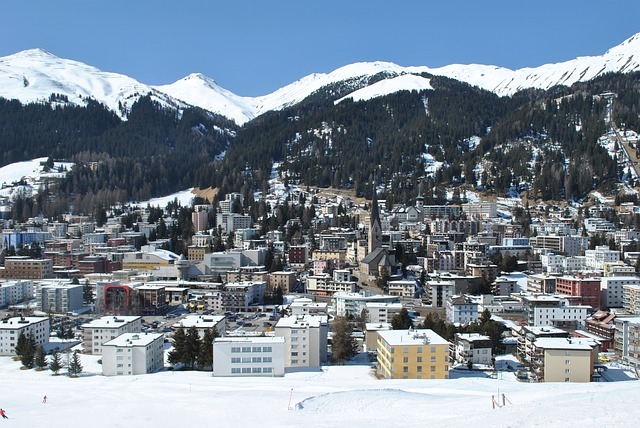 Tomorrow, the World Economic Forum starts in Davos in Switzerland. The Forum is "committed to improve the state of the world" and brings together what it calls public and private "stakeholders" — in other words, heads of state, business, academia and society — and invites them to discuss shared interests and problems. The growing importance of digital and its implications for our planet have been on the agenda at Davos for several years now. Currently, there is an article on the WEF website by Pat Gelsinger, CEO of VMware Inc., which makes an interesting case for what he calls the four “superpowers” that are shaping our world. A lot depends on your perspective, and whether you take a broadly optimistic perspective (as Gelsinger does) or a more pessimistic view of how the human race will cope with the remorseless advance of technology. That doesn’t mean that the future will not have challenges. While, as Gelsinger notes, “the cloud delivers capacity on a previously unimaginable scale, enabling organisations to add or remove various components to their infrastructure quickly and as needed,” it also creates an online store for cyber criminals to access and then steal our details and money. Online services exist for all sorts of reasons, but when they are hacked, whether for monetary gain or simply to embarrass a lot of people as happened when the Ashley Madison “dating” app was breached, it causes no end of grief (and the odd divorce or two I suspect).